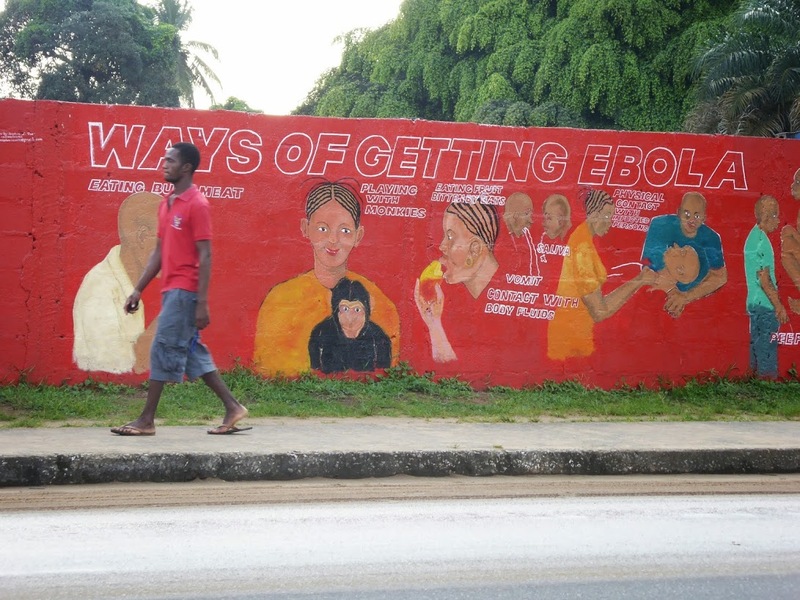 A mural in Liberia warns of Ebola. There is no shaking of hands in Liberia. Instead, people elbow their hellos. “I have never washed my hands so much as I did in Liberia,” said Karin Huster, a former intensive care unit nurse at Harborview. Huster recently returned from five weeks in Liberia, where she trained health workers on Ebola. The Ebola outbreak was immediately obvious in Monrovia, she said. 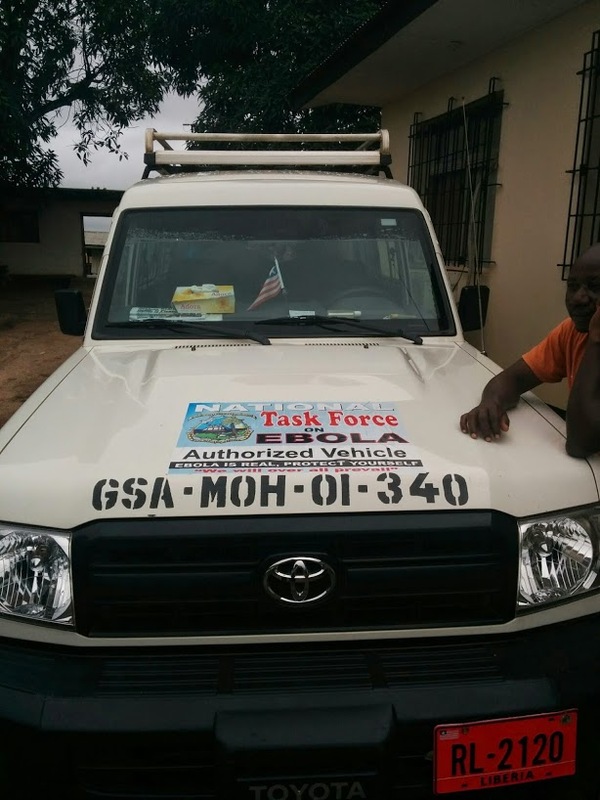 An Ebola task force vehicle in Liberia. Land Cruisers fashioned as ambulances would wail through the streets. “You see the driver in all the equipment, with their goggles and their mask, and you know they are either on their way to get somebody or carrying someone to the treatment unit,” she said. 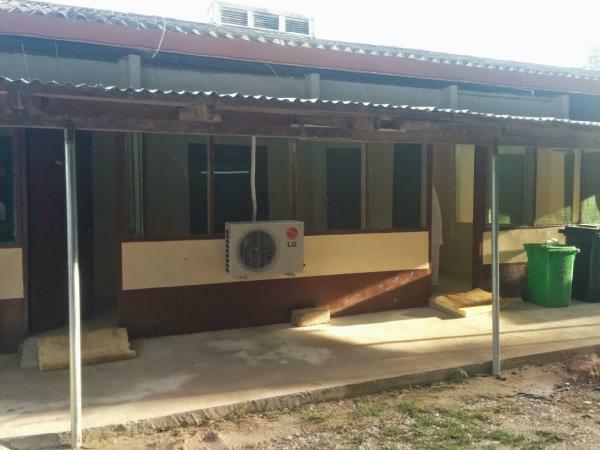 Freshly painted murals warned of Ebola symptoms. Markets, too, looked like a Petri dish of potential infection. Huster didn’t come in contact with anyone with Ebola – that she knows of. A market in Liberia. 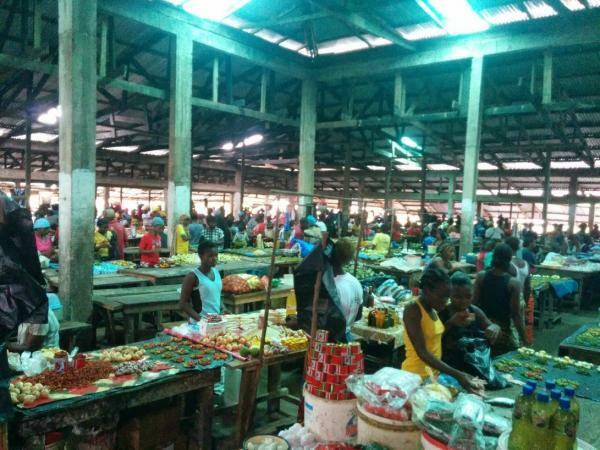 Karin Huster, a former Harborview nurse, said she realized walking through the market might not be a smart idea in this country ravaged by a recent Ebola outbreak. 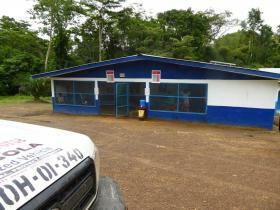 The closest she came to a possibly infected person was at a rural clinic where she worked, 300 miles outside Monrovia. There, a man was admitted for Ebola-like symptoms. She never learned whether the man had Ebola, as he died the next day. A blood sample was sent back to Monrovia by a county health team’s car, but it never made it to a lab. (They tried to give the sample to Huster’s team, but they all refused.) The car ended up stuck on the roads – “red, sticky mud pits,” she called them – for three days. 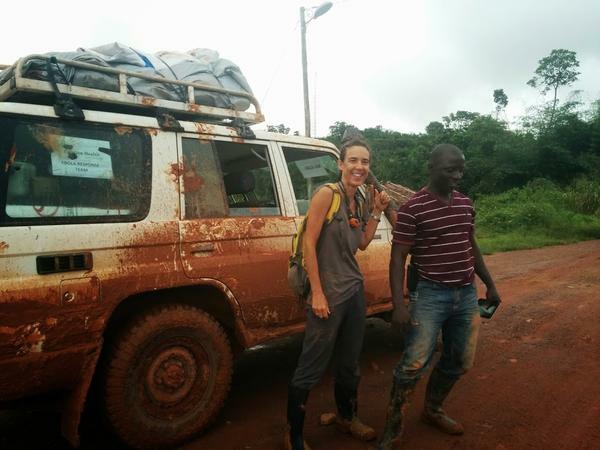 Karin Huster outside a car on one of the roads she described as red, sticky mud pits. It took her three days to travel 300 miles. Karin Huster’s room during her five-week stay in Liberia. Huster returns on Nov. 10. Upon return to Seattle, Huster, a mother of two teenagers, was heartened by the media frenzy that had exploded in her wake. “This is a huge humanitarian catastrophe. The media frenzy means more attention toward fighting the epidemic,” she said. She said that if the U.S. wants to protect itself from Ebola, it needs to send health workers. 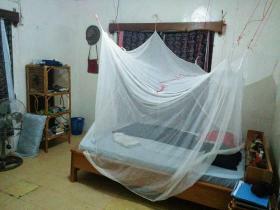 Ebola isolation rooms in Liberia. There are about 50 doctors in Liberia total, she said – that’s about one doctor to every 100,000 people. The Liberian health workers are overworked, underpaid and exhausted. 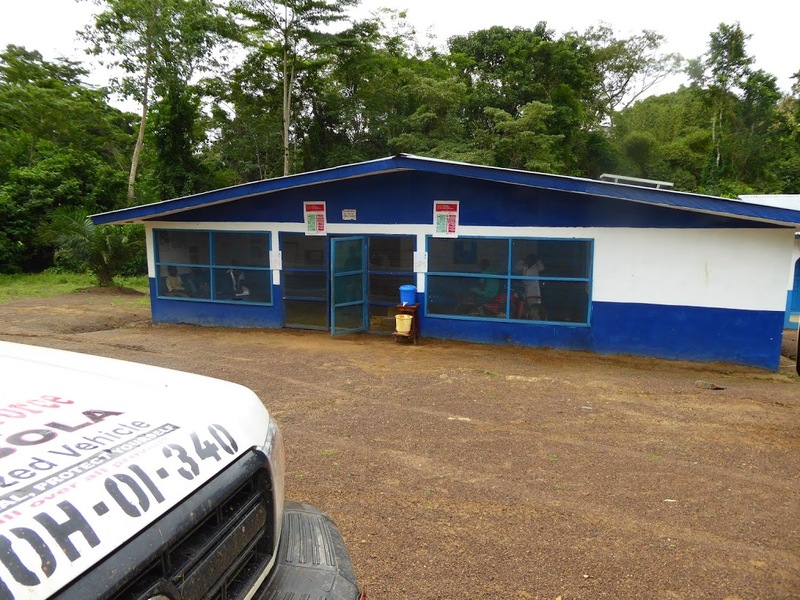 A clinic in southeast Liberia. Huster returns to Liberia around Nov. 10. Before she heads there, she’ll train with an NGO and in an Ebola simulation lab at the Centers for Disease Control and Prevention. She calls these trips to Africa an extension of Harborview’s mission – to treat the underserved.